One of the rising stars of Channel 4’s Celebrity Hunted and Hunted TV series has publicly backed Christmas military campaign – Jingle Comms. Former Intelligence Operator, Jordan Wylie, who spent 10 years with the Royal Hussars, including tours of Northern Ireland and Iraq, has pledged his support for the festive campaign, which sees messages of support from the general public sent to troops away on vital operations overseas and veterans facing tough times during the December period. Jingle Comms was launched by Pathfinder International in 2017 and was a huge success in spreading messages of support for troops away from home at Christmas. Now, we have extended the messages of support for veterans in the UK, to raise awareness and highlight support is at hand. 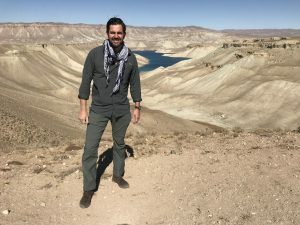 Pathfinder International editor, Mal Robinson added: “It is tremendous Jordan has taken time out from his busy schedule to back the campaign. It may be a small token to send a message, but believe me, it really does make that difference knowing the public, family and friends back home are thinking of you when serving away.